Corinna brings to Oasis 15 years’ experience of working internationally as a speech/voice and presentation coach, with individuals and groups. 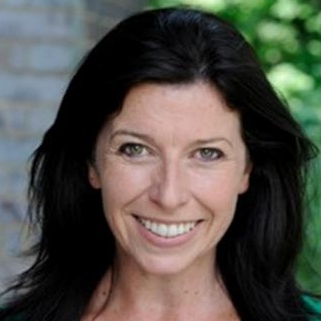 Corinna utilises physical actor skills (presence/voice technique/breathing) with eastern traditions (yoga/mindfulness) in an approach which is nurturing, creative and truly holistic. This can be experienced at Oasis through our unique and innovative Speak To Be Heard programme which she leads alongside Glyn Fussell. She currently is a Designer and Coach/Facilitator with The Chartered Institute of Personnel and Development (CIPD), a professional association for human resource management professionals, focusing on The Art of Presenting and The Art of Influencing. Since 2000 she has worked as a freelance coach for Idology – a London-based communications consultancy specialising in personal impact and presentations – and spent six years working at The Foreign and Commonwealth Office as a Presentations and Personal Impact Coach. Among her clients she also includes GCHQ, HMGCC, Chanel, Channel 4, UK Sport, CGGVeritas, FTI Consulting, Goldman Sachs, Credit Suisse, Warner Brothers, Universal Music and The Clore Fellowship. In addition to this, Corinna has been working as a professional actor and singer on stage and screen for over 25 years. She has regularly performed in leading roles on the West End stage, as well as the country’s leading repertory theatres including West Yorkshire Playhouse (Sweeney Todd/The Crucible) and The Royal Exchange (The Revenger’s Tragedy/Sweeney Todd). Most recently she has completed filming London Road for the National Theatre and Cuba films. She has also sung as a soloist at Ronnie Scott’s in London, Don’t Tell Mama’s in New York and for the BBC – Songs from the Shows and Loose Ends.